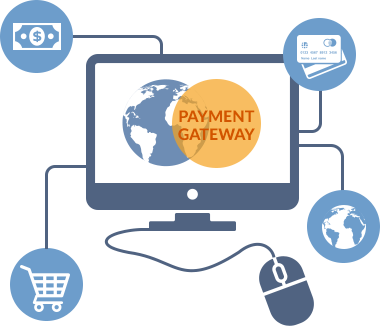 Our gateway is a full featured Payment Gateway service for Card-Not-Present Merchants, processing transactions in either real-time (API) or batch mode. Our Premium Reporting and Reconciliation platform is a powerful tool that analyzes transaction processing and risk data to provide merchants with greater ability and understanding of their business and processing trends. We offer a Virtual Terminal that allows Pre-Authorization, Sales, Refunds and Voids. We use leading fraud detection tools that in addition to pre-set thresholds, allow merchants to establish their own fraud prevention parameters. We provide real-time reports, including charts, graphs and tables which help users to keep track of sub-agents, merchants, sales, transactions and much more. We have developed the most effective tools available today for Card-Not-Present merchants to quickly and effectively reduce chargebacks, thereby reducing merchant liability and improving business profitability. Payment Security is Card PMT’s main objective. We guarantee compliance with PCI DSS security standards for all our systems as well as ensure maximum protection for our customers and their personal data. 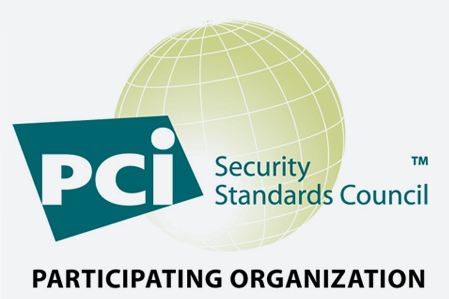 PCI DSS (Payment Card Industry Data Security Standard) represents rules and regulations developed by the Security Standards Council of the bank cards industry to provide consistent measures for information protection worldwide. These rules apply to anyone who processes or transfers information involving bank cards. To maintain compliance with PCI DSS standards, each year we perform a thorough examination of our software development, network architecture and other mandatory safety measures to ensure the maximum protection of customer data that is available. Easy integrationThe Card PMT payment gateway integration is quick and easy. We provide a comprehensive integration manual and ready-made transaction solutions. User-friendly managementOur management system interface is user-friendly and provides all the necessary payment information. Full AdministrationMerchant, Agent and accounting data is processed in one place, while the system is generating valuable analytics and reporting. 24-hour supportCustomer service support is on the alert 24 hours a day 7 days a week, 365 days a year. Our automated risk management platform performs comprehensive analysis of transactional data applying several methods simultaneously. For that purpose, third-party service data, transactions history and several blacklists are all used. The antifraud system includes numerous plug-ins bearing both information and functional loads. Devices used for payments are analysed by the security plug-in for the payers geolocation and engineering information. The system uses multiple methods that monitor card authorizations and react in real time based on time and volume parameters, reacting instantly to any indication that the transaction falls outside the normal pattern of usage. Reduce Costs Minimize and prevent authorization and chargeback fees as well as possible inventory loss resulting from fraudulent transactions. Protect ProfitsMaximize legitimate transactions, rather than refusing business due to a fear of potential fraud. Maximize FlexibilityCustomize filter settings according to your unique business needs. Improve IntelligenceRestrict transaction activity from specific Internet Protocol (IP) addresses using powerful IP tools. Easy to use A setup wizard guides you through the configuration process. Maintain Merchant Account: minimize chargeback occurrences that result in breaching thresholds and account shut-down. Our Premium Reporting and Reconciliation platform is a powerful tool that analyzes transaction processing, marketing and risk data to provide merchants with greater visibility and understanding of their business and processing trends. We give you a vibrant collection of real-time statistical reports with total transparency, ensuring a complete view of your company’s activities. This data helps merchants make smarter decisions in today’s increasingly data-driven business environment. We provide merchants with an easy to read online merchant dashboard with analysis of their multi-national transaction data. We develop custom strategies to maximize profitability and address the shifting economics of the business, to better prepare for upcoming events and monitor and reduce risks. Authorization Performance Analysis Predictive modeling provides insight into authentication metrics and the long-term value of customers. Our team designs high decline rule strategies to research declines (for example, according to Merchant Defined Fields, and investigate declines by Level of Continuity (LOC) for recurring businesses) to improve authorization ratios profitability. Risk Assessment Analysis Completion of an overall evaluation of fraud, chargeback, refund, and decline risk assessment assists in understanding the high-risk components of the business, tracking cardholder conversion, troubleshooting user experience issues and examining data based upon Bank Identification Numbers (BINs), and much more. Drill Reporting Drill Reporting is a proprietary reporting tool that allows you to dynamically analyze transaction activity in a multitude of ways to obtain operational insights, analyze risk, assess marketing strategies, and forecast transaction processing and help address specific business questions. Transaction reports can be customized for analysis to better understand and review merchant processing quality and to predict future outcomes. Overall Profitability Analysis Evaluation of all transaction volume leads to the creation of a logical segmentation of the entire business which is then ranked by profitability; solutions may be crafted to address low or unprofitable segments while marketing dollars can be directed to high profit channels. Chargeback, Fraud & Refund Forecasting Predictive forecasting of chargeback, fraud and refund activity by timeframe allows for appropriate preparations and adjustments to minimize forecasted levels. Custom Analysis Every business is different, therefore we can custom tailor our analysis to evaluate and support your specific business operations. Enterprise Reporting combines purchase transaction, marketing, fulfillment, consumer and chronological data. Our Virtual Terminal provides an easy way for merchants to process transactions via the Internet by turning any PC into a POS terminal. At the same time, it provides one central, secure location where you can manage everything related to transaction processing. The Virtual Terminal module allows your business or organization to accept credit cards over the phone, by fax or through the mail (MOTO) and obtain authorizations quickly and securely in real time over the Internet. The Virtual Terminal module is easily accessible using most current web browsers and all transactions are processed securely. This solution is ideal for businesses that operate in call center or order desk environments. it's secureorder data is encrypted to protect customer information. it's compliant always up to date with regulations for storing sensitive payment information. Card PMT offers a white labelled, fully customizable payment gateway and management platform. Resellers, acquirers, independent sales organizations and multi-tier organizations are able to offer their own custom branded payment gateway solution to their merchants using our state of the art technology to deliver a reliable, easy to use and secure card processing solution. Your gateway will reflect your company look and feel in all interactions while Card PMT manages everything on the back end You administer your own merchant contracts and control the fees charged to your merchants. To find out more about a complete white-label Payment Gateway please fill in the form or contact us directly.